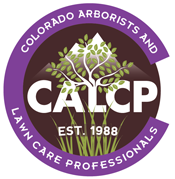 Colorado Arborists and Lawn Care Professionals (CALCP) CALCP represents landscape managers in Colorado. Colorado State Uiversity represents the educators and students for all areas of the turf industry. Rocky Mountain Golf Course Superintendents Association (RMGCSA) - The RMGCSA represents golf course superintendents in the Rocky Mountain area. The Sod Growers Association is comprised of sod growers in Colorado.